If there’s one nut butter that I love above all the rest (including sunflower seed butter), it’s almond butter. It’s rich taste and filling texture makes for a perfect snack and pick-me-up when you’re on the go. I like to dip celery and carrots in my almond butter, as well as organic apple slices. You can also make almond milk with almond butter, by blending together 2 tablespoons of almond butter with 1 cup (8oz) or fresh water. It is truly a versatile food. While searching the Food Network’s website, I found a recipe from a chef that I really admire, Bobby Flay. His recipe for Peanut Butter Cream-Filled Devil’s Food Cupcakes really got my mouth interested. If you don’t already know, I’m a big fan of anything chocolate, as well as anything to do with peanut butter. 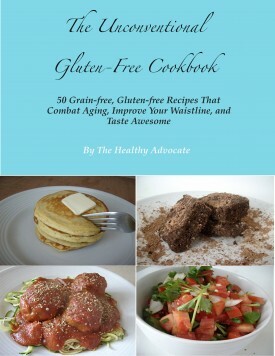 I wanted to make this recipe Paleo and free from refined sugar (or perhaps sugar-free altogether). Also, I wanted to use a nut butter that contained more nutrition, and one that was lower in aflatoxin content. For these cupcakes, I don’t sweeten the almond butter filling. But you can, if you want to. I suggest using a bit of powdered xylitol or coconut palm sugar. You can powder these sweeteners in a dry, high speed blender (think Vitamix or Blendtec). 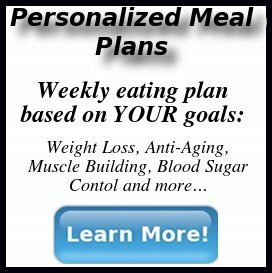 You may also be able to powder it in a coffee grinder (see Lauren’s demonstration over at Healthy Indulgences), or in a spice grinder or Magic Bullet. If you try any of these techniques, please let me know how it goes, because I’ve only tried the Vitamix method (which works wonders!). Note: You may be able to replace the coconut palm sugar or xylitol with honey, but I haven’t tried this. Try using 1/2 cup of honey instead of 3/4 cup of sweetener, and leave the stevia in. If you choose this sweetening method, you may need to reduce the amount of liquid in the recipe, such as the almond milk. Gluten-free, grain-free cupcakes with almond butter filling. Delicious! Line cupcake sheet with 9 cupcake liners. In a medium mixing bowl, sift together almond flour, cocoa powder, baking soda, cream of tartar, and salt. Mix the xylitol or coconut palm sugar with the stevia. Add to flour mixture. Add the melted coconut oil, eggs, vanilla extract, and coffee in the flour mixture. Stir well to combine. If batter is too thick (depending on the almond flour or cocoa powder you are using), stir in almond milk, one tablespoon at a time, until a cake batter consistency is reached. 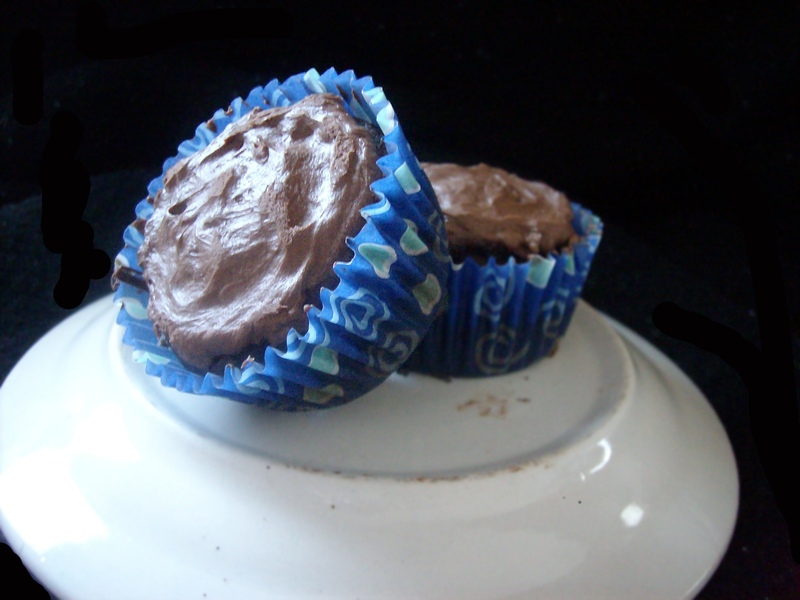 Fill each cupcake liner with 3 tablespoons of batter (or until ⅔ full). Bake for 25 minutes, or until a fork inserted in the centre of the cupcakes come out clean. Carve out a hole on top of each cooled cupcake, about ¼ of the top of the cupcake and ½ way down. Reserve the top that you carved out, as you will need to place it back after filling the centre. Beat together the almond butter, butter or coconut oil, and sweetener (if using) together until smooth. Place 1 teaspoon of the almond butter filling in the carved out centre of each cupcake. Place the top back on the cupcake. Frost the cupcake with the recipe below. Follow the original recipe with these scaled down ingredients and enjoy! These cupcakes are so good and great for a party, or just for yourself. They are also very romantic (have you ever heard a cupcake called ‘romantic’? ), so sharing them with your special someone may also be an awesome idea. Please let me know how you like these! Share your feedback here in the comments, on Twitter, or on Facebook. I’m looking forward to hearing about how you enjoy these! Thanks, Kammie! Let me know if you try them. 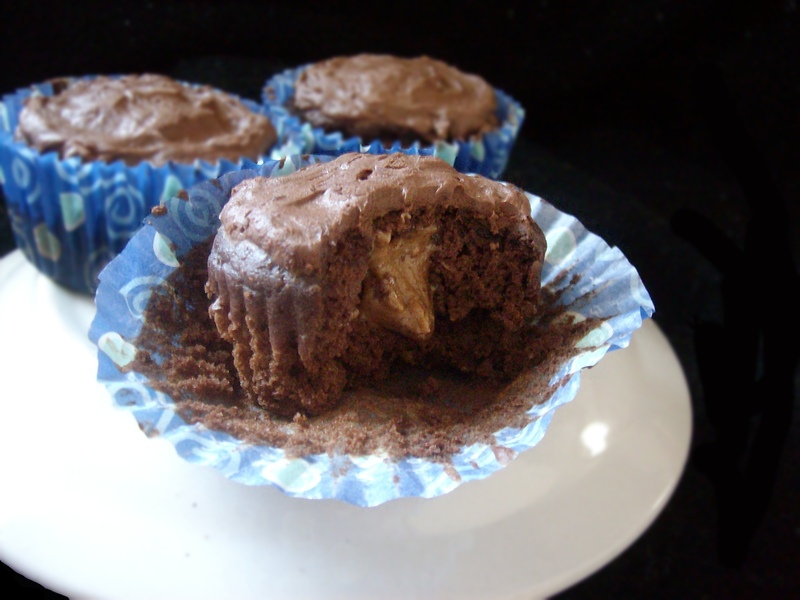 You are currently reading "Almond Butter Filled Devil’s Food Cupcakes (Grain-free, Paleo, and Very Delicious!)"